The U.S. Forest Service says there are at least 66 million dead trees in the Sierra Nevada. 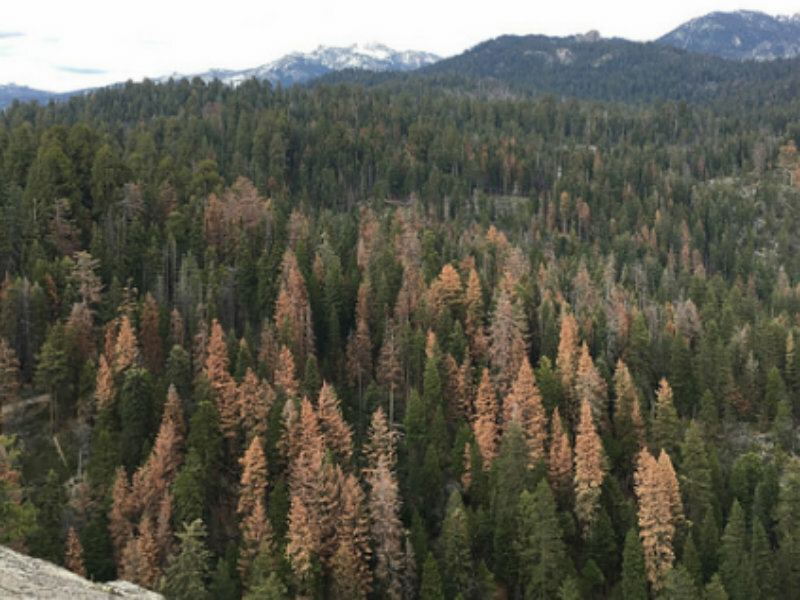 The agency blames four consecutive years of severe drought, a "dramatic rise in bark beetle infestation and warmer temperatures for the historic levels of tree die-off." 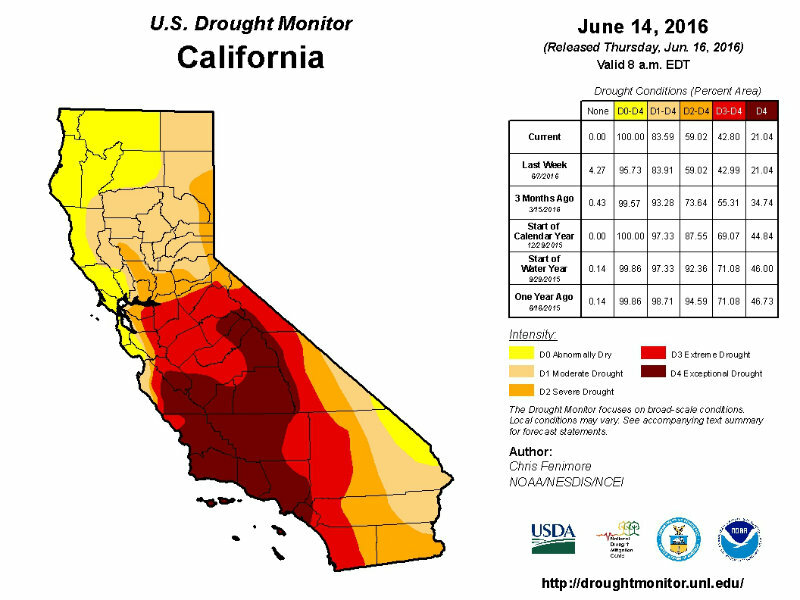 California is now in the fifth consecutive year of drought and the acreage burned by wildfires so far in 2016 is about twice the amount compared to this time in 2015, according to Cal Fire, the state's firefighting agency. The Forest Service announced Wednesday that it has identified an additional 26 million dead trees in six counties across 760,000 acres in the southern Sierra Nevada region of the state. Those trees are in addition to the 40 million trees that died statewide from 2010 to October 2015. 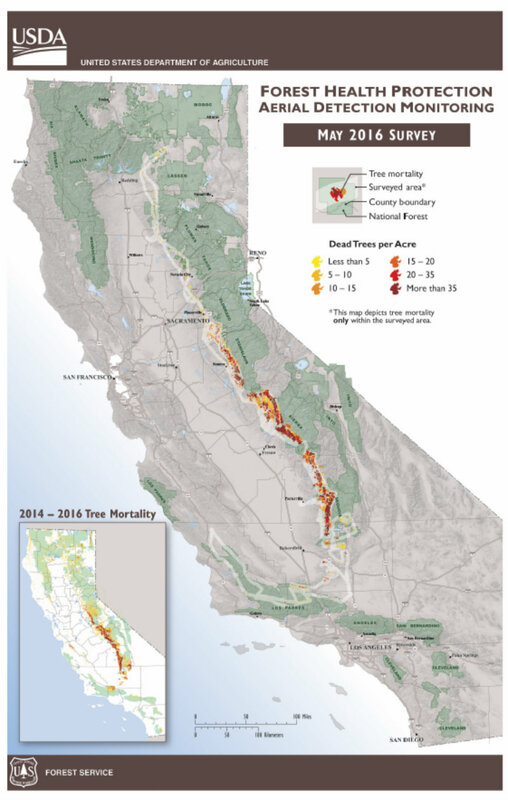 Between 2010 and late 2015, the USFS says, its aerial detection surveys found that 40 million trees died across California - "with nearly three quarters of that total succumbing to drought and insect mortality from September 2014 to October 2015 alone." The survey identified the approximately 26 million additional dead trees since the last inventory in October 2015. The areas surveyed in May covered six southern Sierra counties including Fresno, Kern, Madera, Mariposa, Tuolumne and Tulare. "It is definitely challenging," says John C. Heil III, with the U.S. Forest Service Pacific Southwest Regional Office in Vallejo. "Our priority, of course, is going to be safety for our visitors and employees. So the areas that are of concern, near roads for example, we’re going to get those trees removed as soon as possible. And that work has already been going on, we’ve actually removed 80,000 dead trees so far." The dead trees also are fuel for wildfires. "Our goal in the future is really to do more thinning projects so we can make the forest more healthy and resilient to these attacks from bark beetles which the four-year drought has really made a significant impact on," says Heil. "So if we’re able to do more thinning projects in the future, that will help to make the forest more resilient and healthy to the attacks and also for wildfires as well."